Shangrila a place rumored to be heaven on earth and has been a reference in many video games and movies but Call of Duty has a different perspective on it, welcome to Shangrila Zombie hell on Earth. A new kind of Claymore which explodes and shoots spikes. Exploding Monkey wind up toy (I fail to recall the name). A special in game gun that turns the zombies to babies. 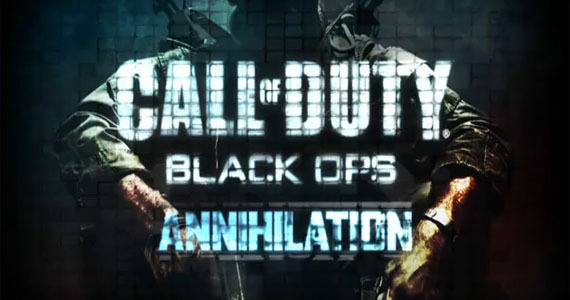 The only thing I love about Black Ops is how the zombies mode is very addictive, not a day goes by that I don’t play a round of zombies with friedns on various zombies map and try and beat our old round records and have some fun along the way 😀 I for one can not wait for Annhilation, Shangrila definitely looks like a fun map. While the song suits the trailer I would have preferred “Welcome to the Jungle – Guns n Roses” Instead, don’t you agree? 😀 It suits the trailer more. The map pack will debut on XBOX Live first and will come to PlayStation Store / PC a month or so later.